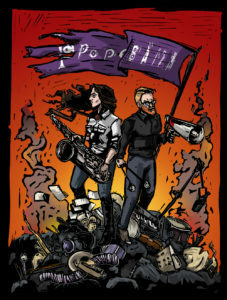 Popebama is an experimental duo that focuses on virtuosic performances of unconventional works. 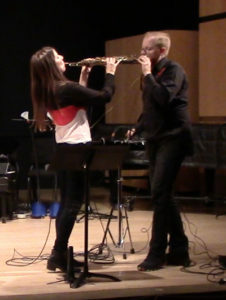 Based in New York City, Erin Rogers (saxophone) and Dennis Sullivan (percussion) are imaginative composer-performers, who apply text, electronics, and high-energy instrumental writing to non-traditional sounds. Specializing in works conceived by Rogers and Sullivan, Popebama has championed composers such as Paul Pinto, Matthew Shlomowitz, Rick Burkhardt, Jenna Lyle, and Daniel Silliman, and collaborated with performers such as yarn/wire (NYC), Tøyen Fil Og Klafferi (Oslo), Brandon Lopez (Brooklyn), Anne Le Berge (Amsterdam), and DECODER (Hamburg). Popebama has been featured on NYmusikk Bergen (Norway), Edmonton Fringe Festival (Canada), Splendor (Amsterdam), Diabolical Records (Salt Lake City), Bodies-As-Technology (Brooklyn), and Cleveland’s inaugural ReSound Festival, with lauded performances at the 2017 New Music Gathering, NASA 2018 Biennial (Cincinnati), SPLICE Festival (Kalamazoo) and The Stone (NYC). 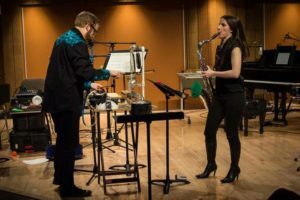 Educational engagements include student workshops, masterclasses, and performances at Hochschule fur Musik (Freiburg), UMass Amherst, and The Walden School (New Hampshire). Popebama will headline the 49th Annual Festival of New Music at Ball State University, which includes five evening performances and an international call-for-scores. 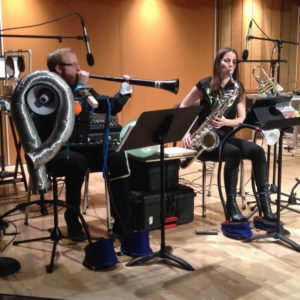 The high demand of the ensemble has garnered attention from presenters and new music advocates alike, resulting in a growing number of performances in the US and abroad. Popebama completed its first European tour in 2018 and will return in spring 2020.